If you’re always looking for ways to give your designs some more dimension or a little extra…something, then you’ve come to the right place (but, let’s be real, when you’re at Designs By Miss Mandee, you’re always in the right place). Today I’m sharing some grunge textures with great character! These are perfect for textured backgrounds or words, and they can be great for specific parts of an illustration as well. For example: the one in the upper right-hand corner could work really well as a texture for fur. And, even if illustration isn’t your thing, these can be a great, subtle addition to roughen up a photograph and give it a vintage feel. A big reason I started offering graphic design freebies was because I was trying to build my own library of design resources, and figured I’d share them while I’m at it—this texture set is no exception. I can’t tell you how many times I think to myself, “This design is almost there—I just need something more…something like a texture!” And then I proceed to create a texture from scratch. I figured it was about time I put together a set of textures I can pull from and make it a little easier on myself. Speaking of making life a little easier, have you downloaded my 2016 desktop calendars yet? Not only are they are a super simple organizational tool, but they’re pretty darn cute (if I do say so myself)! I’m so excited for this new year! I’m especially excited to see where this design/blogging adventure takes me. 2015 was fulfilling, and it’s all thanks to you guys (you pretty much rock)—thanks for all the support! I love creating things and teaching skills that make people happy. 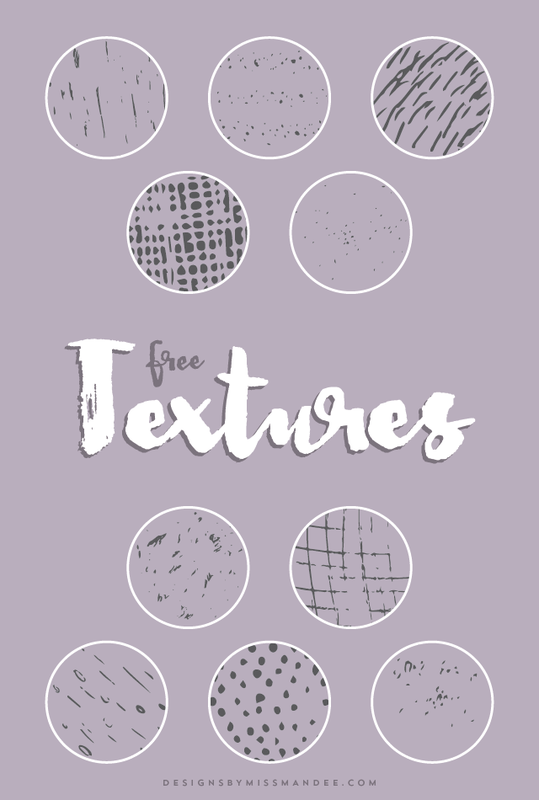 Enjoy these grunge textures! I know they’ll make a great addition to your design resource library, and I hope you get plenty of use out of them.